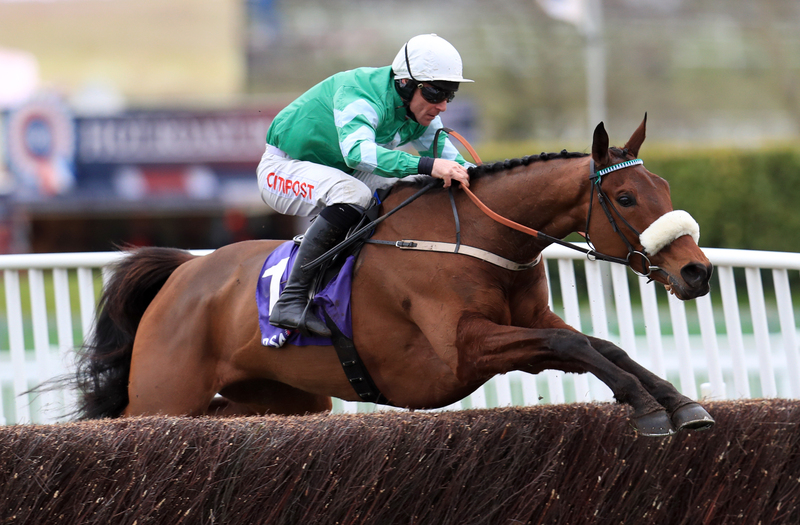 The Pat Kelly-trained eight-year-old won the RSA Chase at Cheltenham last March – his second Festival success having won the Pertemps Final 12 months earlier. Presenting Percy’s owner, Philip Reynolds, said on Tuesday: “I spoke to Pat this morning and he is very happy with Presenting Percy. His potential rivals include last year’s Gold Cup third, the Tony Martin-trained Anibale Fly, who has been restricted to just one run this season. Another possible for his owner JP McManus is Joseph O’Brien’s Edwulf who is searching for his first win since last year’s Irish Gold Cup at Leopardstown. Willie Mullins has entered the talented Killultagh Vic and Bachasson, while Henry de Bromhead’s Monalee is set to take his chance. The entries are completed by the Gordon Elliott duo of Alpha Des Obeaux, runner-up in last month’s Thyestes Chase, and A Toi Phil. Farclas could try to land his first success since last year’s Triumph Hurdle, while his stablemate Coeur Sublime fell when holding every chance in the Grade Two Knight Frank Juvenile Hurdle at Leopardstown at Christmas. “As usual we’ll just see how the horses are later in the week before deciding what to run,” said Elliott. Last year’s winner Forge Meadow, from Jessica Harrington’s stable, is in the mix, and Cristal Icon, Darasso, Glamorgan Duke and Rashaan make up the list.